Two employees of the Durres Port Authority were arrested by Durres police, as experts of the Economic Crime Investigation found that the doctor and ambulance driver abused with their duty by transporting smuggled goods. Within the encrypted "Cigarettes" opaque, Artan Dhima, 49, resident of Durrës, a doctor at the Durres Port Authority and Zamir Çirbja 41, the ambulance driver at the Durres Port Authority, are arrested. 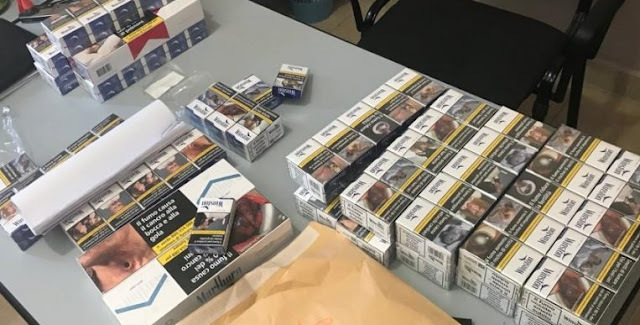 In co-operation with each other, they bought tobacco boxes of various brands without fiscal stamp of the Albanian authorities on the ferries that anchored in the Port of Durres by smuggling them with an ambulance and subsequently sold to various persons. In the quality of the material evidence, the police seized 300 tobacco packages of different brands, one Volsvagen type ambulance vehicle, which served for the smuggling of cigarettes in the Port of Durres, one Ford vehicle that served for the carriage of cigarettes from the Port of Durres in distributing them to different persons, 2 mobile handsets. Anyway, having in mind that Albania is among the most corrupted countries in the world, this might seems as a joke. Meanwhile investigations are underway for the full disclosure of the smuggling network.